Corrugated printing isn’t what it used to be. 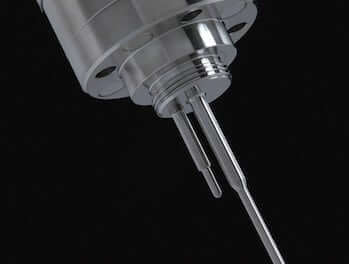 Clients don’t want simple, low-resolution images on their finished products. When ordering point-of-purchase displays, signs, shipping boxes and other items, your customers expect sharp, detailed imagery that aligns with their brand messages. 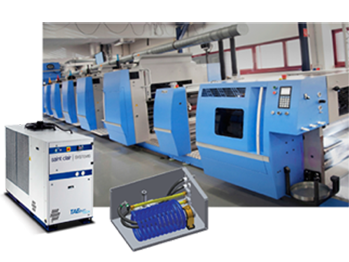 And while your corrugated printing process may be able to deliver the detailed and modern imagery your clients demand, the slightest changes in ink viscosity or temperature can lead to color variations and other imperfections like smearing or striping. 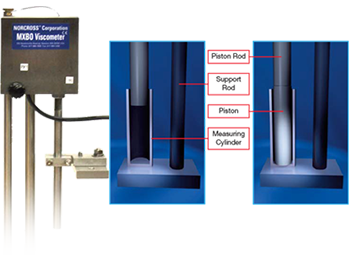 The customized temperature and viscosity control solutions developed by Saint Clair Systems and Norcross Viscosity Controls can help you save time and resources, and trim waste in your corrugated printing process. 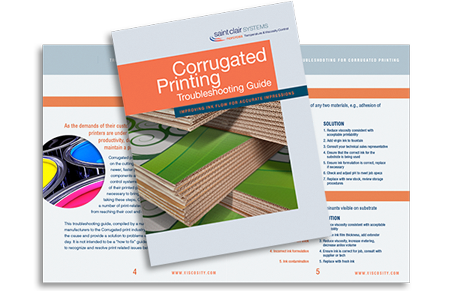 Learn to identify the source of everyday issues you may encounter as a corrugated printer.